WP BackOffice	is ready to help you get the answers you need. WP BackOffice	will reply to your questions about Get extension name	shortly. We appreciate your feedback about your support experience with WP BackOffice, developers of Cart Reports. This helps us maintain high standards on the WooMarketplace, and helps WP BackOffice improve. Glad to hear it went well with WP BackOffice. Tell us more. Did WP BackOffice get back to you? Do you have any additional feeback for us or WP BackOffice? 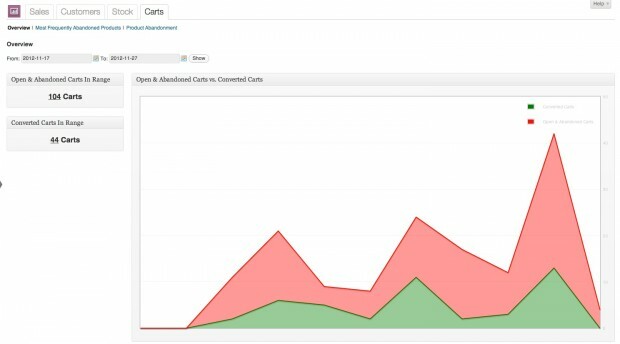 The WooCommerce Cart Reports extension provides real-time metrics on your customers’ open and abandoned shopping carts. 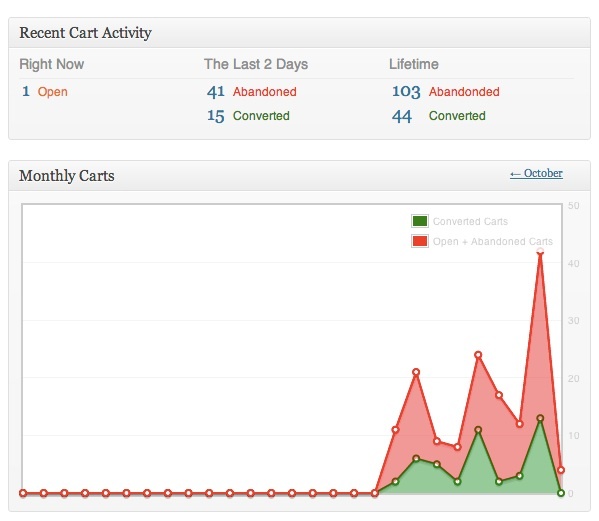 Keep tabs on your customers’ carts and manage your online store more efficiently. 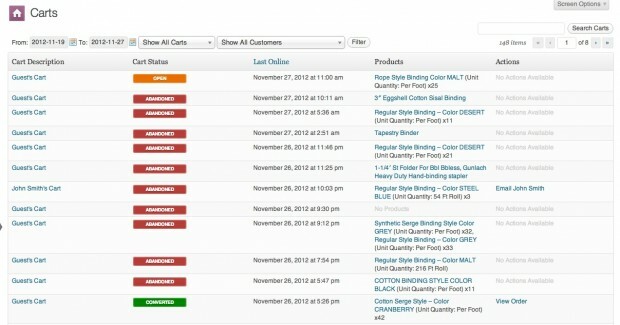 “Cart Detail” view showing cart products, time-last-updated, and more. Contact customers when they have logged in, but have abandoned their shopping carts.